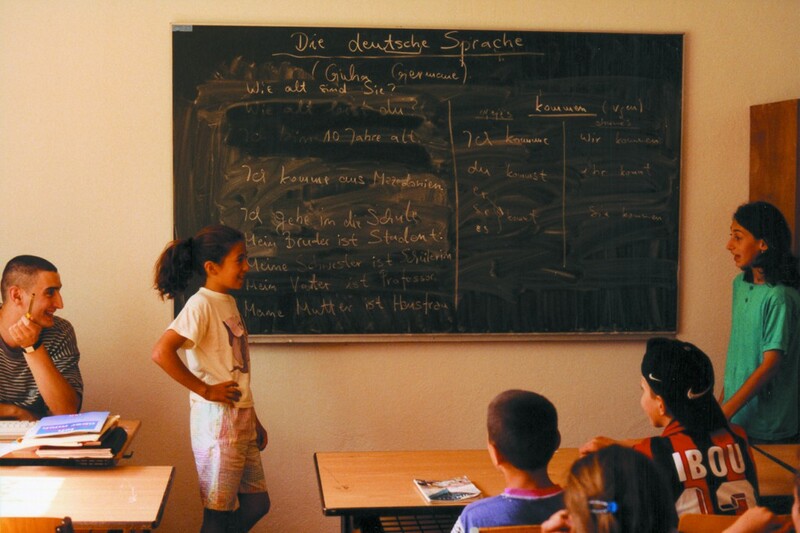 WochenKlausur decided to establish a network of language schools. 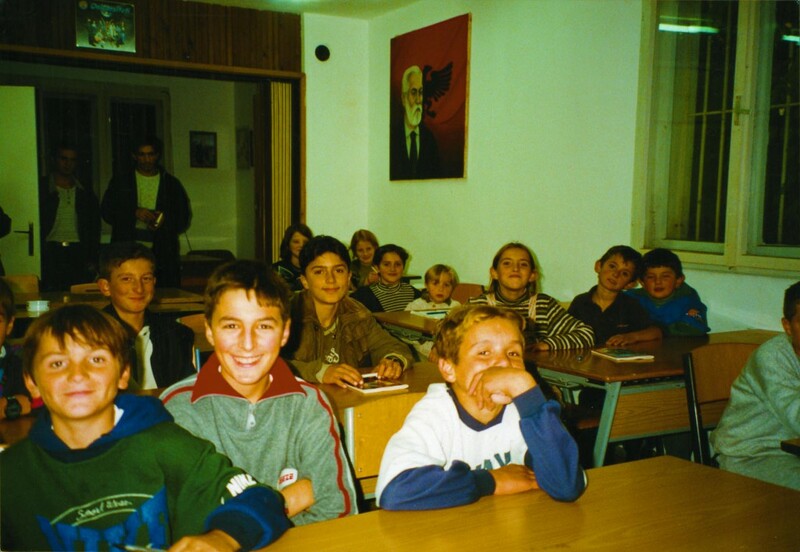 Initially seven spaces were rented on the Kosovo border – around Gostivar and Pristina – and furnished as classrooms. Organizations like KulturKontakt, the Rotary Club of Vienna and the Women’s Initiative Against War, as well as the Veuve Cliquot company and many private individuals, contributed a total of €48,000. The group held a lottery in the Austrian pavilion at the Venice Biennial: for 20 euros visitors could choose from an array of surprise bags containing prizes sponsored by a variety of Austrian and Italian companies. Austrian Pavilion, 48th Biennale di Venezia ; Vienna City School Board, University of Vienna, Caritas; KulturKontakt, the Rotary Club of Vienna and the Women’s Initiative Against War; Veuve Cliquot company; Austrian Pavilion’s visitors; Austrian film production company PPM, Macedonian civil rights organization ADI (Association for Democratic Initiatives).